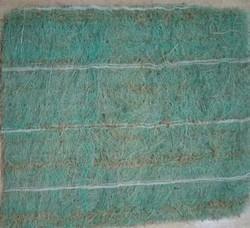 We, Coastal Enterprises, engaged in supplying the best-in-class range of Coir & Rubber Products and Natural Pillow Fiber Fills. In addition to this, we supply a heavy duty range of Tape Edge Machine and Needle Felt Machine. This entire range is procured from vendors who hold specialization in this domain. Our associates manufacture products by making use of premium quality basic material in line with the market demands. Appreciated for impeccability, our range is in compliance with the defined quality parameters of the industry. Backed by rich industry expertise, we are offering a compact gamut of Rubber Mats. Our mats are able to cater to the requirements of our esteemed patrons, as these are manufactured utilizing best grade raw material, obtained from the most reliable vendors of the industry. Further, before dispatching the offered mats to the end users, we check these so as to ensure the presence of the widely acknowledged attributes such as reliability, high performance and long-lasting service life. 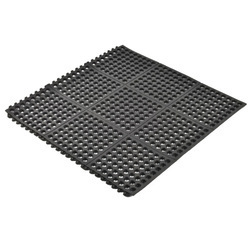 These mats are used in a wide range of applications, especially in cold countries. These are Coconut-husk based natural and eco-friendly, 100 % biodegradable products offered at competitive prices for our clients all over the world. 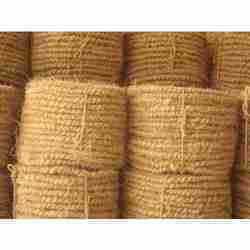 We have pioneering gained expertise in delivering a quality range of Coir Products. Our range comprises Coir Mats, Coir Twisted Rope, Coir Fiber, Coir Geo Textile, Coir Pith, Coir Mattresses and Spring Mattresses. Offered array of products are widely demanded in the market due to their premium quality, customer specific varieties and fetch value for money. With the help of our experienced engineers, we are able to design and develop a vast array of Coir Geo Textile. We ensure that our eminent vendors manufacture these by making use of premium quality raw material. These products are used for a wide range of applications and are in demand due to their characteristics like high performance, smooth finish and reliability. Our team of quality controllers monitor the entire manufacturing process of these coir geo textile so as to ensure their flawlessness. 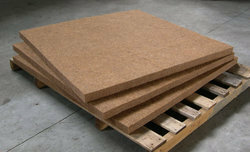 Pioneers in production and supply of Rubberised Coir use clean natural coir fibres and natural rubber latex. To ensure our product caters to the needs of our esteemed customers, our team of experienced professionals perform quality-test on each product before delivering them. 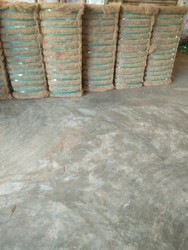 Under this category, we are offering Rubberised Coir Products and Rubberised Coir Mattress/Sheet to our valuable patrons in different part of the world. We specialize in offering a complete range of Tape Edge Machine. The offered range comprises Industrial Tape Edge Machine sourced from the authentic vendors of the market. Our products are strictly in accordance to international standards and are widely acknowledged by our patrons for their high productivity, easy installation and minimum maintenance. 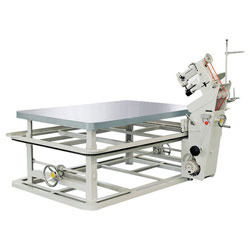 These machines are being used in mattress manufacturing industries. We offer customization of these machines as per the clients' requirements at competitive prices. 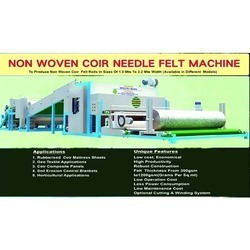 We offer highly technical Needle Felt Machine. Our Coir Needle Felt Machine comes with horizontal double punch sytem, the first of its kind in the world. We provide these machines after stringently testing them so as to ensure their compliance with the universally accepted quality standards as well as to meet the diversified needs of the clients. These are "in-house" from our sister concern and are available in different designs and specifications. Our machines are already installed in different parts of the world and enjoy performance, minimal maintenance. 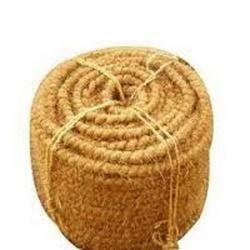 Offering you a complete choice of products which include curled coir rope.